Rupert Murdoch got the predictable avalanche of liberal pushback when he recently tweeted, "Ben and Candy Carson terrific. What about a real black president who can properly address the racial divide? And much else." What? Murdoch is suggesting our current president is not a "real black"? Soon, following the explosion of liberal outrage, another tweet followed from Murdoch, "Apologies! No offence meant. Personally find both men charming." What exactly is it about Murdoch's statement that so incensed these liberals? Perhaps the suggestion that some blacks are "real," and some not? Or is it Murdoch's suggestion that "real" blacks are conservative? It is no secret that since the civil rights movement, liberals have controlled black politics. So much so, that blacks are automatically assumed to be liberal. For years, despite growing evidence to the contrary, it was taken as an indisputable fact of life that big government socialism was the answer to black social and economic problems. When the few conservative blacks, like me, emerged on the scene to challenge this and propose a conservative alternative, liberal boilerplate reaction was that only a black being paid off by Republicans could propose such nonsense. In other words, liberal blacks have peddled for years that black conservatives are not "real." 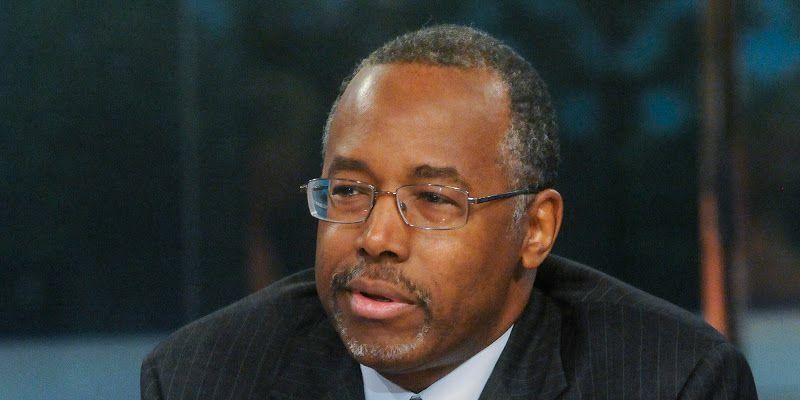 Ben Carson's story is certainly not a story that black liberals want told as a black story. The idea of a young black man rising from a ghetto in Detroit to head of pediatric neurosurgery at John Hopkins Hospital, and attributing his achievement to values, hard work, and education — and not to government programs — is the last thing any self-respecting liberal wants conveyed as typical. As Dawn M. Turner writes in the Chicago Tribune, "Folks, Carson included, make the mistake of believing that he had some formula, some secret sauce for achievement, when the reality is that for every kid like him who climbs out of poverty, so many fall by the wayside." Now certainly there is no "secret sauce" for becoming one of the world's leading pediatric neurosurgeons. But there is a "secret sauce" for rising out of poverty in America. Brookings Institute scholar Ron Haskins lays it out. According to Haskins, there are three rules for not being poor in America. "Complete at least a high school education, work full time, and wait until age 21 and get married before having a baby." "Based on an analysis of census data," continues Haskins, "people who followed all three of these rules had only a 2 percent chance of being in poverty and a 72 percent chance of joining the middle class." Over the forty years from 1974 to 2014, black household poverty rates changed from 30 percent to 26.2 percent. Not exactly a meaningful change, particularly given the trillions spent on anti-poverty programs. Black poverty is centered on single parent black households. The breakdown of the black family, and the almost tripling of black out-of-wedlock births over this forty-year period, is the product of displacement of traditional family values with welfare state programs. These welfare state programs, and the propping up of union-controlled failing inner city public schools, are both the babies of the liberal establishment. It is, of course, ridiculous to suggest that some blacks are "real" and others are not. But it is not ridiculous to suggest that some solutions to black problems are "real" and others are not. The "real" solutions for black problems begin with giving black parents alternatives to the failed public schools where poor black children are trapped, restoring the black family — once the pillar of black life in America — and building a culture of ownership and entrepreneurship. Ben Carson is a poster child for these conservative solutions. And surely why liberals would be so upset when anyone would refer to him as a "real black."